The Tour du Mont Blanc is a big trek so you need to make sure that you have the correct equipment to get the most out of your trip. Good planning will mean you don’t take too much or too little. On our fully-guided treks, staying at good hotels, we offer luggage transfers on most of the nights. A van will arrive in the morning and transfer your main luggage to your next hotel which means that you can trek with just your day sack. We do not transfer your luggage to every night stop as we feel it adheres more closely to a traditional trek. In addition, more luggage transfers are environmentally unsound and it adds a great deal to the cost of the tour as some of the drives are 5 hour round-trips. Please restrict the weight of your main luggage to 20kg. This helps us with the luggage transfers. We strongly recommend that you do not leave any valuables or any object of high value in your main luggage. Your day sack will need to have full waterproofs, warm jacket, gloves, warm hat, camera, phone, sun cream in addition to the clothes you set out in. A small First Aid kit and blister pack can be useful. A 40 litre back pack is recommended. 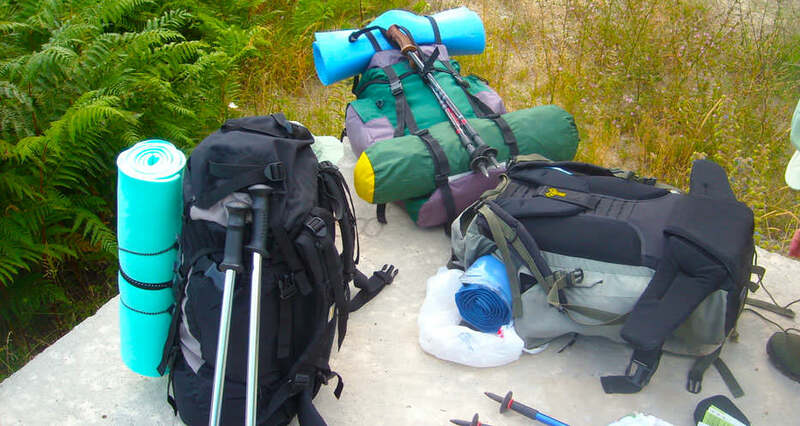 At Salamander Adventures we offer the same luggage transfer for clients on the self guided trek as on the guided trek. However, you will need to take your own picnic lunches each day so you need to take this into account when purchasing heavier items to eat! For a guided trek or a self-guided trek, a 40 litre rucsac is recommended. To get more details about our Tour du Mont Blanc contact us via our online form.